A number of state and federal laws impact the process of hiring a new employee. You must be careful to maintain legal compliance at all stages of the hiring process, from advertising and interviewing to hiring and employment. At all times, employers must refrain from illegal discrimination. You must also observe age regulations and respect privacy rights. The consequences of failing to abide by these rules can be severe. You should consult with an attorney who is experienced in business planning and employment law to ensure that you maintain compliance with federal laws as well as laws that apply in your jurisdiction. You should consider writing down your company’s policies and procedures in an employee handbook, to minimize misunderstandings over policies, compensation, and other employee issues. Every new employee should be given a handbook. 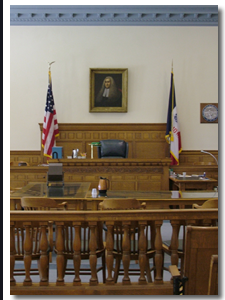 Contact an Iowa corporate / business lawyer representing clients in Northwood, Iowa today to schedule your initial consultation.